Dr. Suhas, BAMS, M.D. 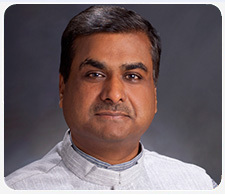 (Ayurveda) is a world-renowned Ayurvedic physician, educator, author, Director of “Ayurvedic Healing” in Santa Cruz, CA and advisor for the Chopra Center University. Radiance is simple! Nadine's Living Libations is a luxurious Canadian line of pure source, raw, organic, and botanical beauty care and holistic dental products. Dr. Tony Kim is a cosmetic dentist with advanced training in dental implants. His biological approach helps patients' overall health. Dr. Kim uses the minimally invasive laser to treat gum disease. Martha Soffer's Surya Spa - a place where you can rest with nature. Come experience Surya Spa's ayurvedic detoxifying, rejuventating, and rebalancing cleanse for your best well-being. Gabriala Brown's Tooth Soap® prides itself in offering the finest products to help improve your dental health, mind, and body. Effective, pure and safe for the entire family.